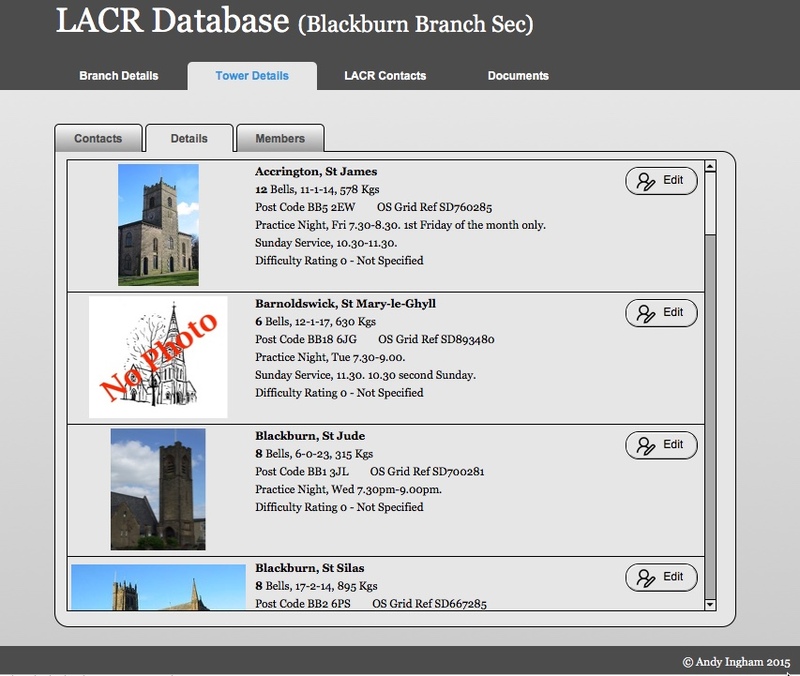 It is now possible for Branch secretaries to have limited direct access to the LACR database. From here it is possible to update contact and tower information such as practice night service times etc. It can also be used to email other LACR contacts, and eventually there may be a document store. Access is a limited to certain functions, for example it is not possible to change a tower contact, just their details. It s also not possible to add new members. These activities must still be done through the General Secretary as before. Edit tower location information, Post Code, OS location. *Note popup blocker must be disabled for this site for the direct email function to work. This functionality is not guaranteed. **Document store under construction presently. Click here to go to the database.